What the Pivot Shuttle delivers over previous ebikes is riding experience. We’ve often wondered who would be the first among the boutique brands to offer an e-bike. Our questions have been answered as Chris Cocalis of Pivot designed a very intriguing machine. US buyers must wait though as the bike is only available in Europe at this time. As we hung out with Chris Cocalis in Moab, UT during the spring, we asked him point blank when he would make an e-bike. He didn’t confirm nor deny but just said that he’s had an opportunity to try a lot of them in his local trails in Phoenix, AZ. This was interesting to us because we consider Chris Cocalis to be one of the Top 3 bike designers in the world. He is an engineer with an unrestricted mind bent on building a better bicycle. 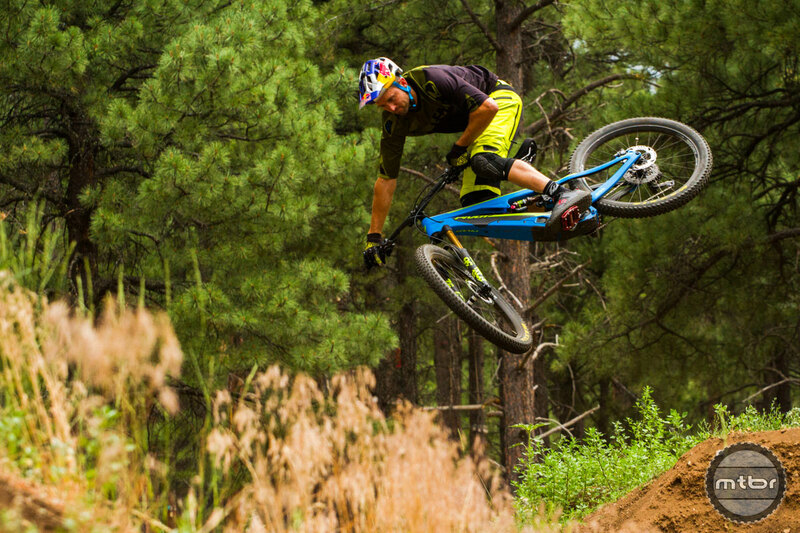 He rides a lot and will only build bikes that are innovative and competitive. And with his track record and industry influence, he has the power to move mountains and standards to get a product built. We’ve ridden over a dozen e-bikes and they’ve improved dramatically over the last few years. 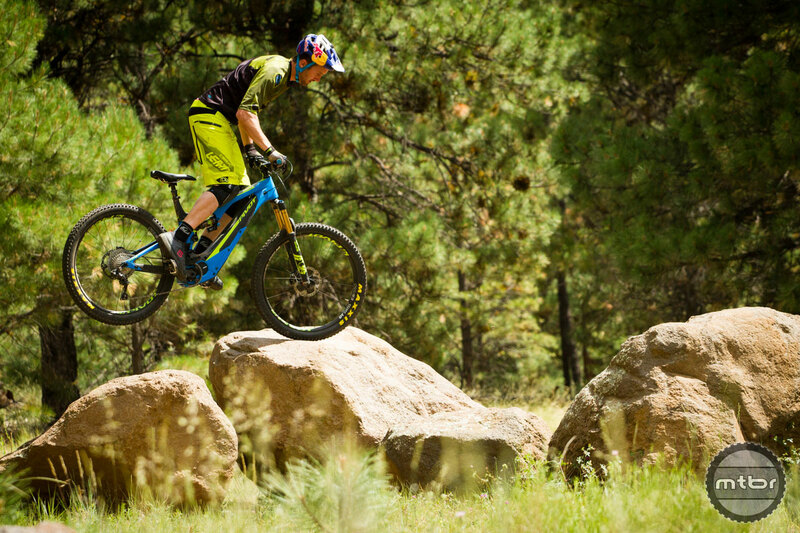 Born out of commuter e-bikes, they’ve evolved into better trail machines as their balance and components have improved. But they’re still mostly over 50 lbs, flexy and have suspension inherited from normal pedal bikes. We talked with Chris at length about the new Pivot Shuttle and he is genuinely excited about this introduction. He truly believes that they’ve built a better machine. The highlight of it is the legendary stiffness of the Pivot Switchblade and a DW-Link suspension specifically tuned for e-bikes. Chris said he tried all the major motor options out there and Shimano was the clear winner in terms of usability and performance. Couple that with a 44 lb weight which is 6 lbs lighter than most of the full suspension e-bike options available today. Come explore with us and learn about the Pivot Shuttle. The 44 lb 140/160mm travel e-bike from Pivot is a key introduction in the category. Pivot developed their own protection for the battery using different materials to optimize for impacts and noise at different spots. At 19.9kg for a complete bike, the full carbon Shuttle sets a new benchmark for light weight, while the progressive geometry, perfectly balanced chassis and eMTB tuned dw-link™ suspension bring authentic pro-level enduro bike performance to the eMTB category. The Shuttle is a new way to mountain bike, making every rider feel like they’re on their best day, and opening doors to a huge range of rides. The heart of the design is a 140mm travel full carbon frame with fully integrated Shimano Steps E8000 pedal assist system. 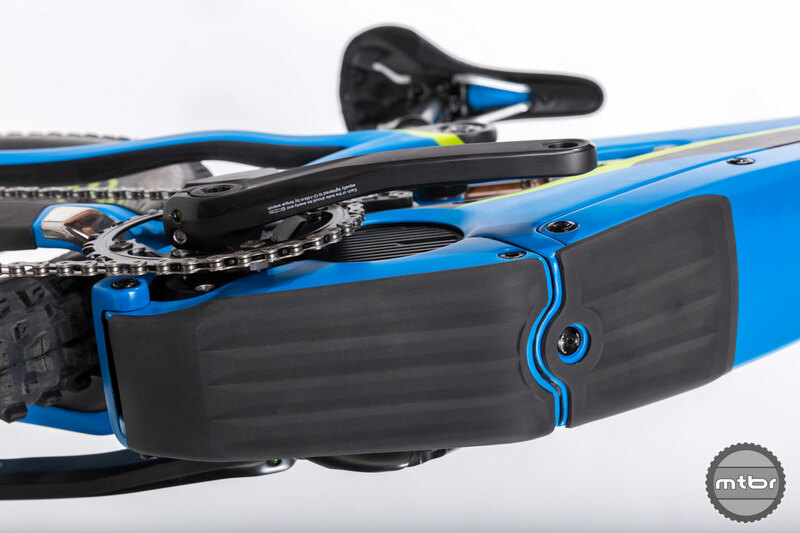 They’ve utilized their proprietary hollow core internal carbon molding process and custom-integrated Shimano’s powerful battery system to create the most compact eMTB drive system available – fully encased inside the carbon downtube with a molded carbon composite skidplate for additional protection. 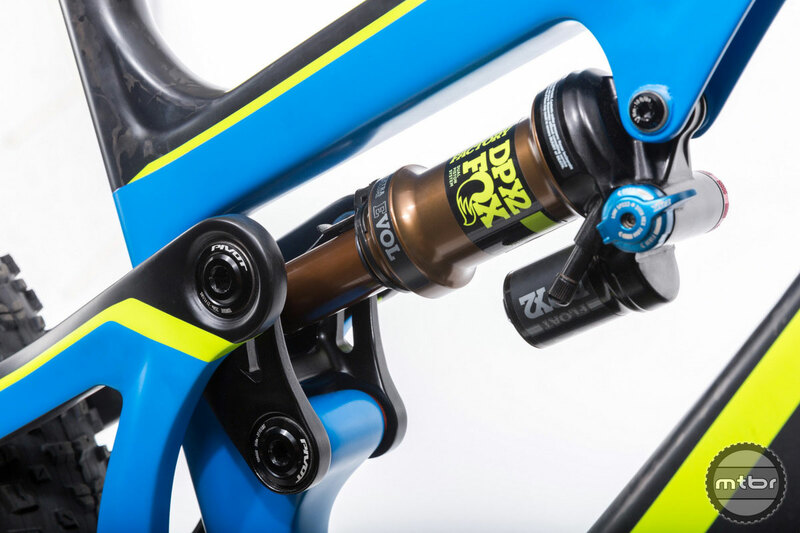 They’ve incorporated all the features you expect from a Pivot trail / enduro bike – long and low enduro/ trail geometry, 157mm Superboost Plus spacing for stiffness and tire clearance, sub-437mm short chainstays for effortless manuals, and dw-link suspension – tuned specifically for the demands of eMTB. 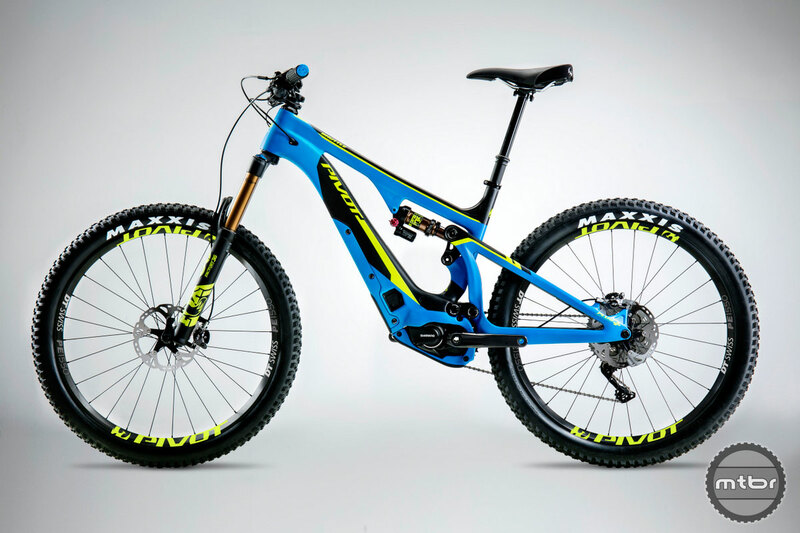 The net effect is a chassis that both looks and rides exactly like any of Pivot’s enduro bikes, at an incredibly low weight of just 19.95kg, (44lbs) to set a new standard for light weight in the eMTB category. 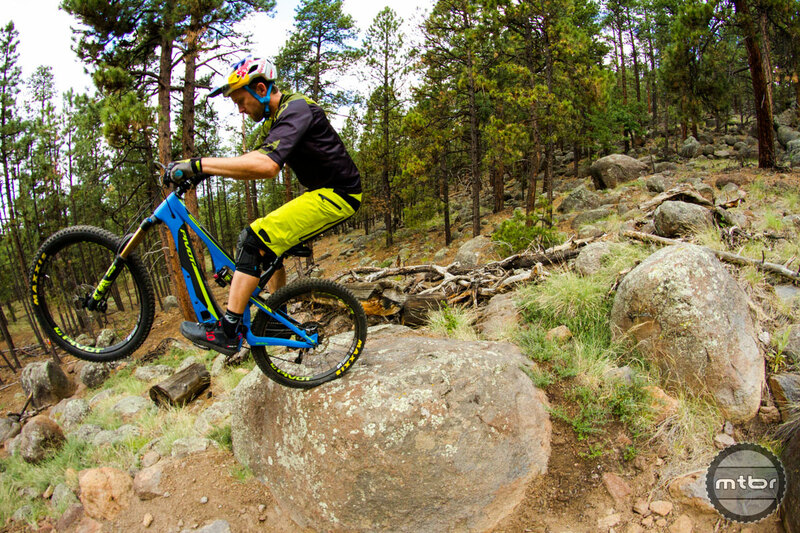 The Pivot Shuttle enables you to ride to the trail many miles away from your house. The new Float DPX2 is the ideal tool for the task at hand. There will be tons of energy left for alternate lines during the climb. Wheels: The Shuttle is spec’d with an eMTB specific DT Swiss wheelset and Maxxis tires with Silk-Shield Technology. The DT Swiss EB1550 wheelset is custom designed for Pivot to accommodate the incredible torque produced by pedal assist systems. It features a SuperBoost 157mm hub that makes for a 30% stiffer wheelset over standard Boost designs, 24t engagement, and an overall design that focuses on strength while achieving the lightest weight possible. 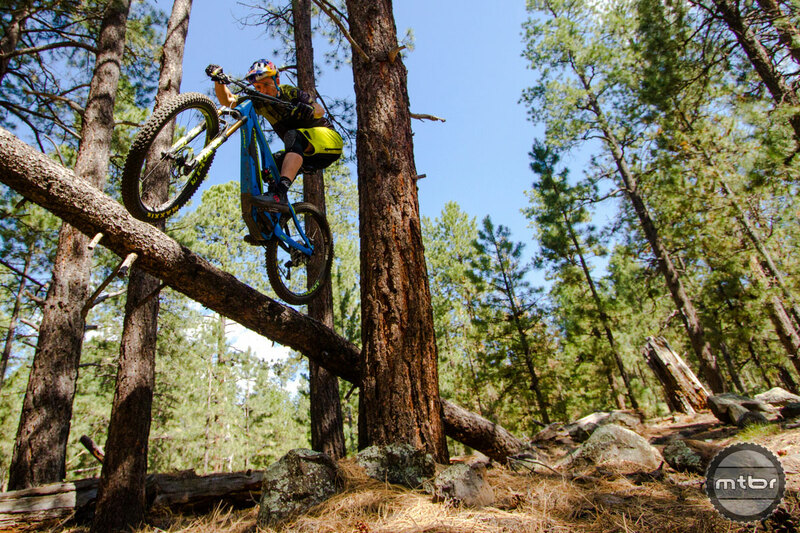 Co-developed with Pivot, the Maxxis Silk-Shield casing is far stronger and much lighter than a traditional downhill casing, and offers a more supple ride feel, for the best on-trail handling. 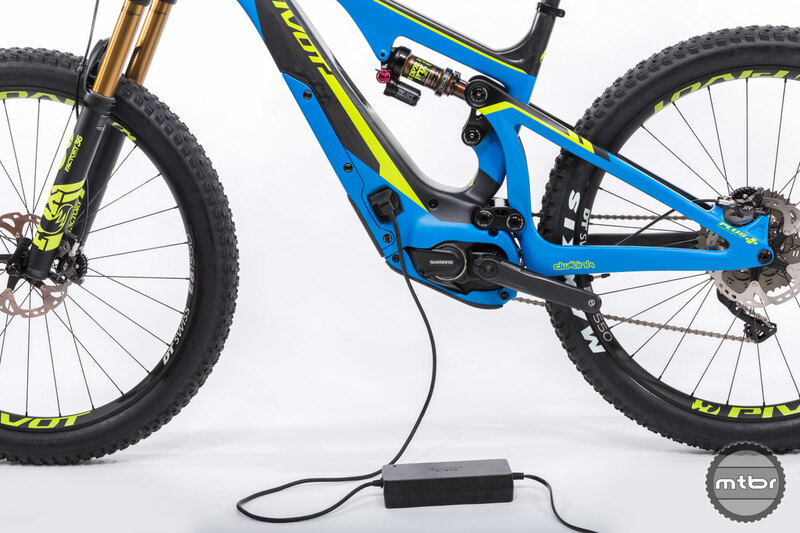 Drive Train: We chose the Shimano Steps E8000 system due to its compact drive unit design, lightweight and perfectly tuned assist that allows the rider to ride their eMTB just as naturally as you ride your non-assist bike. With Shimano you can have confidence in owning the highest quality product with service options just about anywhere in the world. 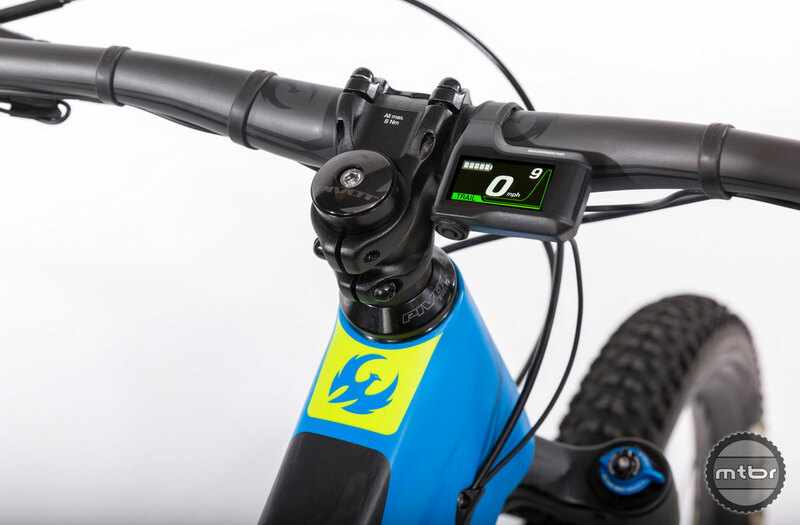 Using the Shimano E-8000 system, the display is very discreet. Is an e-bike ok to jump? We make it easy to get the best ride out of your Pivot bike with a simple sag indicator already installed on your bike, and this follow-along video featuring our own Bernard Kerr: https://vimeo.com/pivotcycles/sag. It is an e-bike but you may forget that on some descents. The Pivot Shuttle obviously did not hold Aaron Chase back. What the Pivot Shuttle delivers over previous e-bikes is riding experience. You can be doing this instead of sitting for a couple hours in the shuttle bus on that 4000 foot climb to the top. The Shuttle will not all of sudden allow you to pull these feats off. When is the Ebike whining gonna just stop and realize . They are coming. This one is the best one yet. Doubt I will buy one soon , but it is cool. With being an old fat guy with bad knees….the day is coming when this will look great and doable. honestly theyre just another categorie. theyre fun and in between mtb and motorcross. ppl just dont like theyre told its a replacement to mtbs because its not. I keep whining…I dont like the idea of crowded trails with all kind of non-cycling related activities. 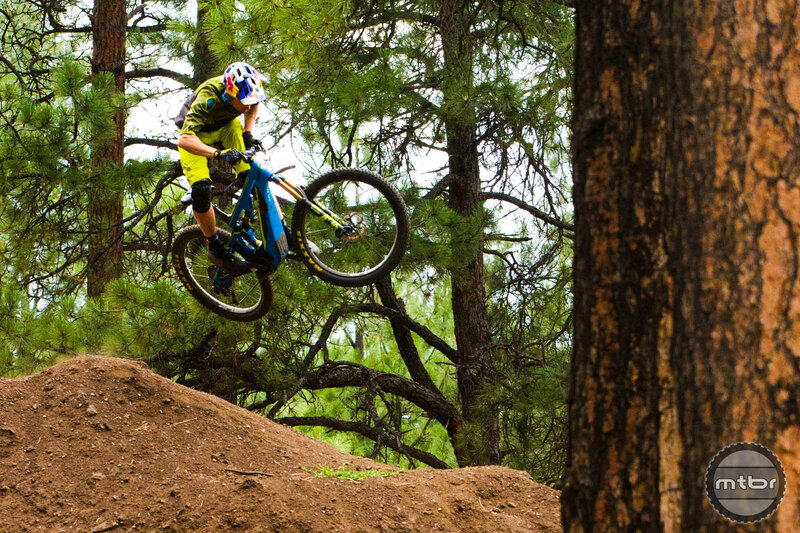 It’s sad that Pivot and the MTB media have no interest in preserving the integrity of the sport. Motors have no place in MTB period. I know, e-skate boards are ruining the integrity of skate boarding. Lol. Grow up. About time we get some decent builders in the market. More than 90% of natural bike trails doesn’t allow ebikes. I just can’t justify purchasing one. The problem is there’s no trail to ride it on. Its good to see more mainstream competition in this market. As for those who disapprove, don’t be dismissive based on what you project will happen. 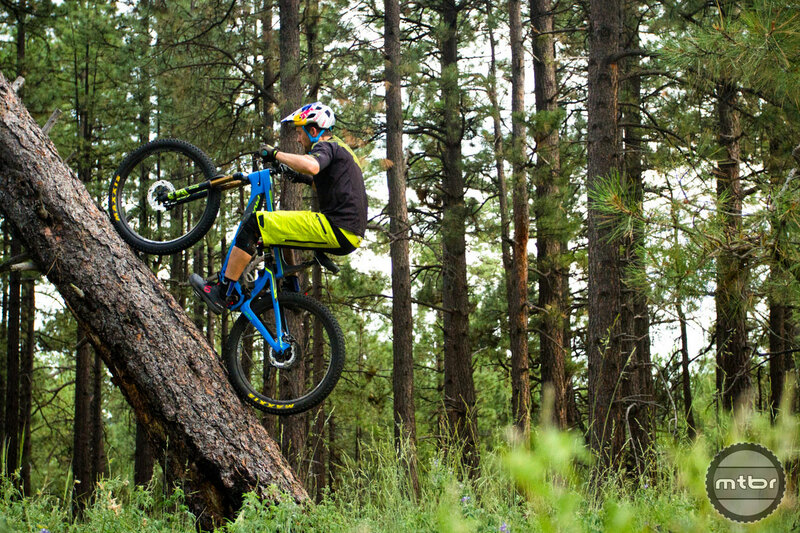 Share the trail and see how it effects your day. Ebikes are motorcycle not pedal bikes and as such do not belong on mountain bike trails. Please keep this crap off of our mountains and let them stick to moto tracks.